We're a group of UK citizens seeking to restore integrity to our democratic process following EU Referendum campaign conduct which we believe was unlawful and has led to deepening of public divisions. In Brexit, the UK political system has failed the people on a massive scale. Our future, and that of our children relies on the integrity of our democratic processes. This action seeks to safeguard democracy for everybody, by ensuring that UK electoral law – if found to have been broken – is upheld. UPDATE: WE TAKE A RESPONSIBLE & TRANSPARENT APPROACH TO YOUR MONEY – WE WILL ONLY SEEK FUNDING AS NEEDED AT EACH STAGE. This enabled the team of criminal and constitutional QCs, and criminal and constitutional lawyers, to review the entire evidence set in detail, validate proposed defendants and identify key components of the delivery. The team attended an extended client conference on2nd June, helping identify the work for step 2.. Success in this case rests on preparation and validation of the papers. We have stacks of evidence compiled painstakingly over 11 months of research which has already received favourable opinion from our advisors. We now need to transform this evidence bank into court-ready materials. We have an entire team of criminal lawyers ready to work on Monday morning, among other task combing their way through each document with forensic precision. Every pound pledged towards the “stretch target” will pay for this process. The more we can raise, and the more quickly we can raise it, the stronger the evidence bundle will be. We do need to raise the money NOW though. Please note that as the money is being spent from the moment it is received, as with the funding of previous legal cases, we would unfortunately be UNABLE to offer a refund in the unlikely event that the legal advice is not to proceed. The final GO-NO decision will be made on the strength of the evidence, based on assessment of potential risks to the prosecutor. Undue Influence is a criminal offence under section 115(2)(b) of the Representation of the People Act 1983 (RPA 83), legislation which was specifically adopted into the EU Referendum to ensure its safe running. The statute was last updated in 2006. We are the Restoring Integrity Team. We are private citizens who include the UK’s leading academic expert in Election Law, Professor bob Watt, Professor of Election Law. He holds a BA (QLD) in Law and Politics from Oxford Polytechnic; a BCL from Balliol College Oxford where he specialised in legal theory. His PhD is in Election Law from the University of Essex where he worked from 1991 to 2011 - serving for a time as Head of School. He was appointed to a Chair at the University of Buckingham in 2011 until semi-retiring earlier this year. His work is widely published, including a book on UK Election Law, numerous shorter publications and conference papers. He has acted as a consultant for the Electoral Commission, was a member of the Law Commission's Working Group on election law. He was invited to give evidence to the Speaker's Commision on Unlocking Democracy, and assisted the applicants in the Tower Hamlets case which resulted in the removal from office of Lutfer Rahman. The primary objective of this case is to safeguard the UK’s democratic process by securing criminal prosecution of individuals found to have made false representations, knowing they might be untrue or misleading, thereby acting as stark warning to those who might otherwise think to similarly undermine UK democracy in a future election or referendum campaign. Please Note: The Restoring Integrity Team also reviewed a number of common complaints about the Remain campaign - Stronger In, but concluded that the claims reviewed fell well short of our evidential tests, being unlikely to meet any definition of a statement or ‘representation of fact'. It should be noted that this case does not preclude any potential separate action by another party. In the matter of the EU Referendum, the legislative Act omitted to provide any legal 'remedy' which might enable the referendum result itself to be challenged in a court, irrespective of the severity of any potential offences. It is understood that this is because the referendum was advisory, and with the result being non-binding the duty falls to parliament to consider the political implications of any wrong-doing. Our firm belief is that this case is a public interest matter, rather than a private one. On 24th October 2016, we wrote to the Director of Public Prosecutions (DPP), setting out the allegations and evidence. When information is given to the Director that an election offence has occurred it is her duty under section 181of RPA 83 to “make such inquiries and institute such proceedings as the circumstances appear to require”. The case attracted widespread headlines when the DPP confirmed the CPS would review the claims, however, on 20th December 2016 we received a letter informing the DPP’s decision not to institute proceedings. In arriving at that decision, we believe the DPP / CPS has formed a controversial interpretation of the s115(2)(b) legislation, and has not properly considered a key 2006 amendment in the law. After Christmas we spent time looking into the possibility of challenging the DPP decision via Judicial Review (JR). From a political standpoint it is a highly sensitive context in which we asked her to act. The extensive legal advice we received (pro-bono) is that a JR application is unlikely to be successful, not through any flaw in the s115(2)(b) legal arguments or evidence, but simply because the wording of the s181 legislation gives the DPP an extremely wide discretion on whether to act. As a result, it was concluded that the only way to ensure achieve prosecution would be through a Private Prosecution action, funded and brought by the public as a public interest matter. Our team believes the case is strong enough to support convictions and in doing so set a vital precedent to safeguard our democratic process against similarly corrupt campaigning in future. Over the last year the team we have worked tirelessly in support of this belief. Our philosophy is to seek funds from public crowdfunding, but only to the extend deemed necessary to complete each stage. In April we sought and achieved just over £10k of public crowdfunding (see https://www.crowdjustice.com/case/restoring-integrity-opinion-stage/) to enable us to procure fully independent Opinion by leading Queens Counsel, to validate the legal arguments to be made and a brief review of the evidence. Though far from wealthy our team are also donating funds personally to the extent we can. Based on feedback from Counsel, we have removed one of the original six grounds which was not considered strong enough, and therefore the Leave. EU campaign is no longer in the scope of our action. Please see text in bold at the top for how we will structure fund-raising to complete this stage, and what the monies will be used for. All funds will be managed and released directly to the legal team by CrowdJustice, in line with the agreed fees schedule. Private prosecution under Undue Influence has a time limit of 1 year to commence. For that reason, for the action to be able to proceed we must lay information into magistrates no later than 22nd June 2017. Assuming the magistrates court grants process, then we will proceed to raise the funds needed to undertake the prosecution itself in Crown Court. The defendants are likely to request trial by jury. Although this is a public interest case, it is being brought through a private action funded by the public itself. The use of public crowd funding means that transparency throughout proceedings will be essential. Where it is possible to do so without prejudice to the case or any court order, the team will commit publishing regular progress updates to the case backers as soon as news becomes available. The Restoring Integrity to Democracy core team met by teleconference at noon today. It is with the greatest of regret that we must inform you that we took - on purely financial grounds - the decision to discontinue our action. The decision was taken at 12:18pm and we immediately informed CrowdJustice who immediately suspended the ability to make new pledges. No further pledges were received after the point the decision was taken. We simply do not have, and have no reasonable prospect of obtaining, sufficient funds to successfully prosecute this case. Despite monies pledged in the last 18 hours, we were simply not on a trajectory to be able to pay to complete the work today, tonight and tomorrow, let alone have anything spare to cover ongoing proceedings from that point. We took this extremely hard decision to protect you and ourselves from further loss, and after going around the houses looking for other solutions. It is a decision taken with very heaviest of hearts, knowing that we have worked on it for a year, and that you, our magnificent backers, have poured a lot of your hard-earned money into the case alongside ours. We must note that we do not have wealthy overseas backers, or corporate backers, or newspaper owners, or the facilities of data-analysis firms to fund our case. We have ordinary citizens and your (and our) hard pressed pay-packets. We continue in the firm belief that this matter should have been fully investigated by the Crown Law Officers. At the same time as stopping the pledges, we instructed the legal team to stop work immediately. We believe we are in a deficit position in terms of monies pledged and costs of the team, but this will be clarified shortly. We will of course, prepare a full Report for you - our backers - which will appear on the this page and our website within the next week or two. This will include a full financial account, legal materials explaining where we got to, and the political and law reform steps we propose to take next. As much detail as possible will be put into the public arena so that you can assess the matter for yourselves. No doubt those who have no care for integrity in democracy will smirk and gloat. Let the people now judge. Since I am the 'first signatory' but very much 'first amongst equals', I would like to add my thanks to the rest of the lay team including those who provided interim, and now sadly irrecoverable, funding - Heroes of Democracy, whose name should be up there with (alphabet order) Benjamin Banneker, Thomas Payne, and Mary Wollstonecraft. We would also like to thank all of the wider supporters, who have advised us and promoted the case everywhere that they can, at all hours of the day and night. Profound thanks also to our excellent legal team, who have worked around the clock, weekends, evenings and from their family holidays in response to every urgent instruction where funding allowed. Please do follow our updates. We know you will be as disappointed as us, and we are truly sorry we did not deliver for you, but none of us can ever be disappointed with ourselves. Sometimes you win. Sometimes you don't. But you can try. With profound thanks for backing us and believing in us. Our best wishes. As donations are made we are using every penny (after meeting modest charges from CrowdJustice) to review and prepare evidence. At the moment there is one major piece of evidence which was not available in October when we complained to the DPP. We believe that this will be very damaging to our intended defendant(s) and the legal team is reviewing it with forensic care. As more money comes in we will switch our focus to the other evidence projects - obtaining witness statements. Most importantly though, you can help us through your donations encouraging your friends to donate through word of mouth, twitter, facebook etc. Restoring Integrity - Case Conference Report and Urgent Appeal from Prof bob Watt..
Hi. I’m bob Watt, until I retired earlier this year I was Professor of Election Law. Our team (Restoring Integrity) is a group of citizens concerned about the way our democracy was subverted during the EU Referendum Campaign. None of us courts personal publicity and I think it fair to say that we are, just like you our readers, ordinary people. This is a summary of our legal case against the Brexit liars which reached a critical point on Friday, following 11 months of intensive work. We are now reaching out more widely as it needs urgent support (funding) if it is going to happen - critically, the case must be presented to the court before June 23. Every pound you donate will enable the legal team to undertake the work to demonstrate - to legally exacting standards - that the leave vote was won on the back of a criminally dishonest campaign. All citizens should be concerned about the integrity of their democracy, however they voted. No-one wants the future of their country to be determined by a pack of lies, and so it is crucial we set a strong precedent in order it does not happen again. We do not think that either side in the referendum won prizes for transparency and candour, but we are particularly concerned about the Leave campaign. We believe they knowingly made false statements and misled the public. 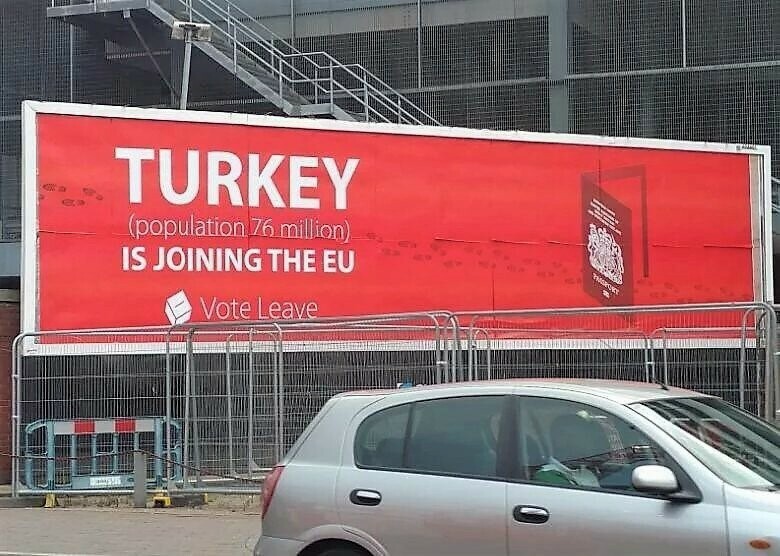 Our allegations that the campaign was fraudulent include: the claim that we send the EU £350m per week; that “Turkey IS joining the EU” and ‘soon’; and persistent misrepresentation of major companies, organisations and individuals. On Friday we met with a top-flight team of criminal and constitutional lawyers and QCs. They are very comfortable with our case on the law, but have advised that whilst we have amassed a quantity of evidence - for which we are to be commended – this evidence needs significant packaging and verifying to be in a suitable state for court. We will need to have a strong case to put before Magistrates to get them to Issue a Summons. This must take place before (at the latest) 23 June. UK electoral law is old and complicated, and in great need of reform. The law relating to the conduct of the Referendum was grafted on top of a heap of old law. It did not provide for a direct way to challenge the result on the basis of unlawful campaigning. However, there is a criminal offence originally dating from the mid 19th century called 'undue influence'. It is now to be found in s115(2)(b) of the Representation of the People Act 1983. This was used in the 1990s to challenge the activities of a political party who put out a leaflet purporting to be from another party and containing misleading statements of policy. That particular challenge failed because the law was - in the view of the Court of Appeal - defective, and therefore it was updated in 2006. The law now aims to criminalise those who use false statements to try to deceive voters. 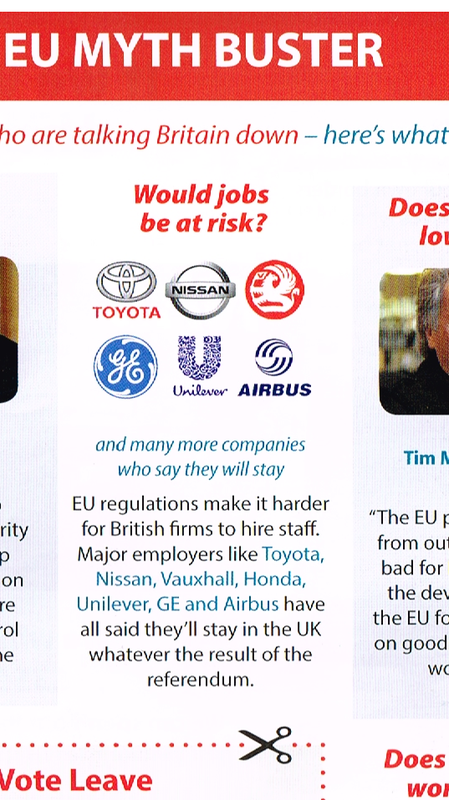 We took the view that false statements were used by the Referendum Leave campaign to try to deceive voters. We complained using a procedure laid down in the Referendum rules to the Director of Public Prosecutions - she declined to act. We were not satisfied. We believe - based on statements in her response - that she had not taken full account of the 2006 update. We originally crowdfunded £10k of independent Counsel's Opinion on this matter - and we received advice which lead us to believe that we were right - and we decided to mount a private prosecution. Thanks to a further initial £10k raised, on Friday, we met with the entire legal team who have advised exactly what we need to do to start the prosecution. Including website charges, we now need to hit the stretch target by raising £106,000 more (at time of writing) if people want to do it. This is the upper estimate of the work needed to prepare the evidence, which is the substantive task, and should therefore also cover the costs of laying into magistrates if they advise it’s strong enough to GO. And so there you have it. This is it - it is the only way forward. Many have commented on the injustice of the Leave campaign, that red bus etc., but we are now faced with a hard choice: pack up and go home or - to use a phrase - “put our money where our mouth is”, in the belief that the legal case against the Brexit lies must be heard if at all possible. Realistically, we have to get together most of the money very quickly, otherwise we will run out of time to do the work. Please note that having hit the initial targets, any monies pledged at this stage will be spent. There are no refunds. Donations of any and every amount are very gratefully received, either from individual members of the public, or perhaps a ‘political donation’ as a small business expense. Even a £1 donation indicates your support. For any larger potential donations (say £10k or more) we will look give you some access to our legal team to verify our claims and our position – please contact us at info@restoringintegity.uk. Due to the cost involved we apologise we cannot offer this more widely.